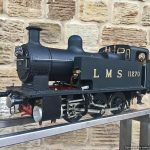 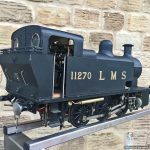 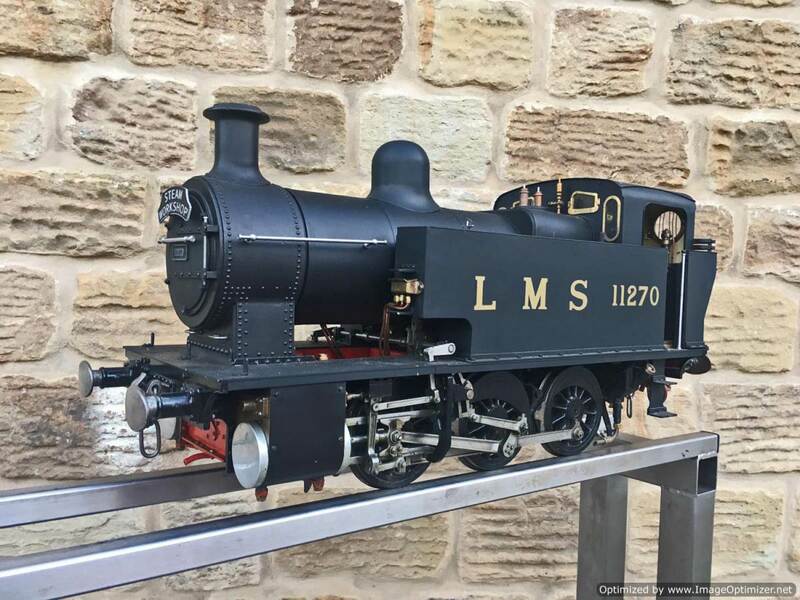 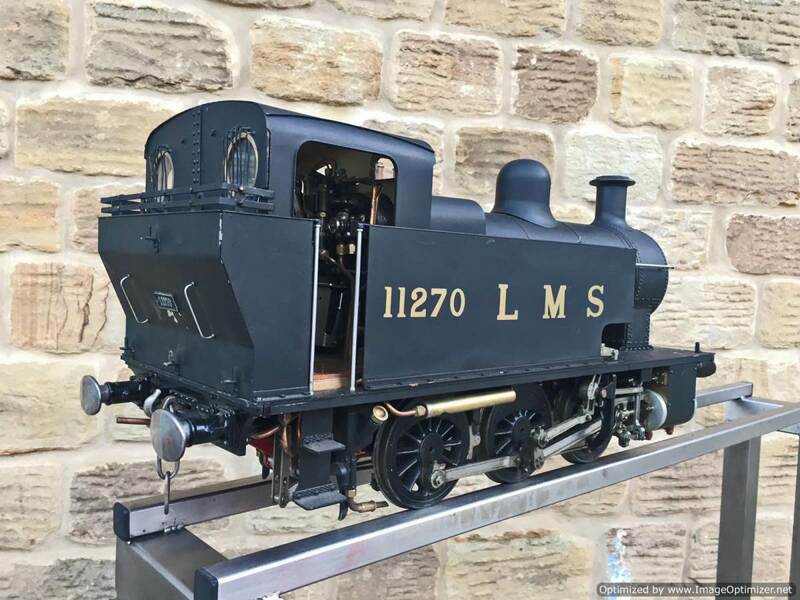 Here we have a beautifully detailed and skillfully made LMS 2F, to J Austin-Walton’s ‘Twin Sister’s’ design. 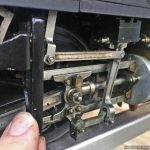 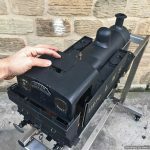 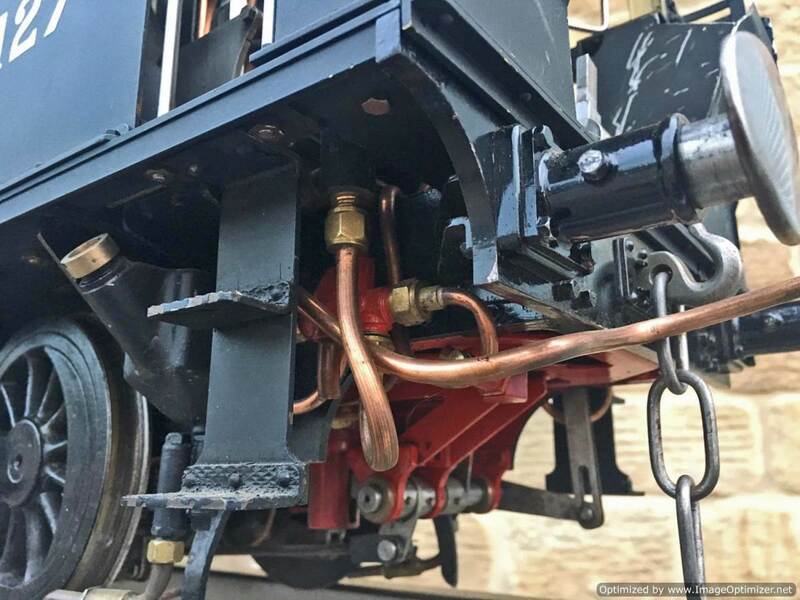 As I’m sure many of you will know, the drawings are arranged so that the builder can either build a simplified version of the loco, or all the detail can be included to produce a much more complex build, but also a much more prototypically accurate scale model, and indeed that is what we have here. 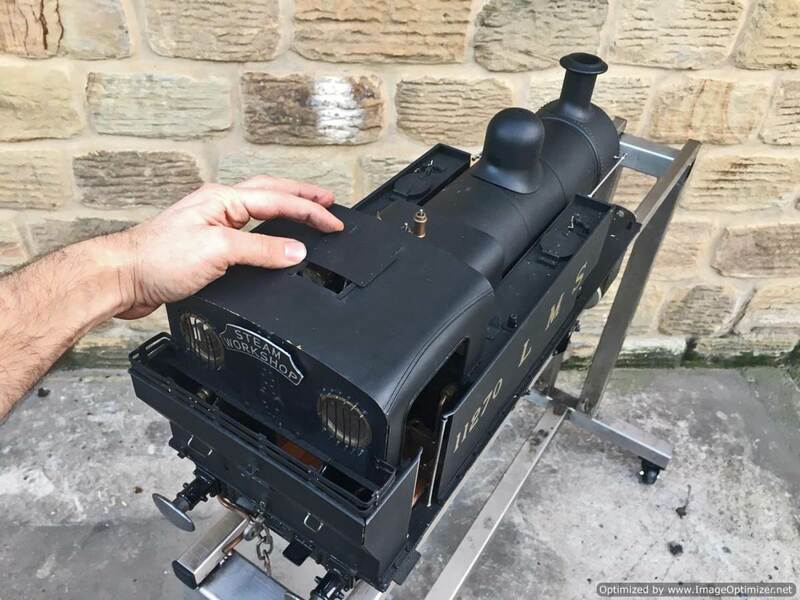 A great many hours have been put into this model to result in the highly detailed loco that she is. 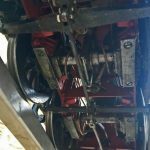 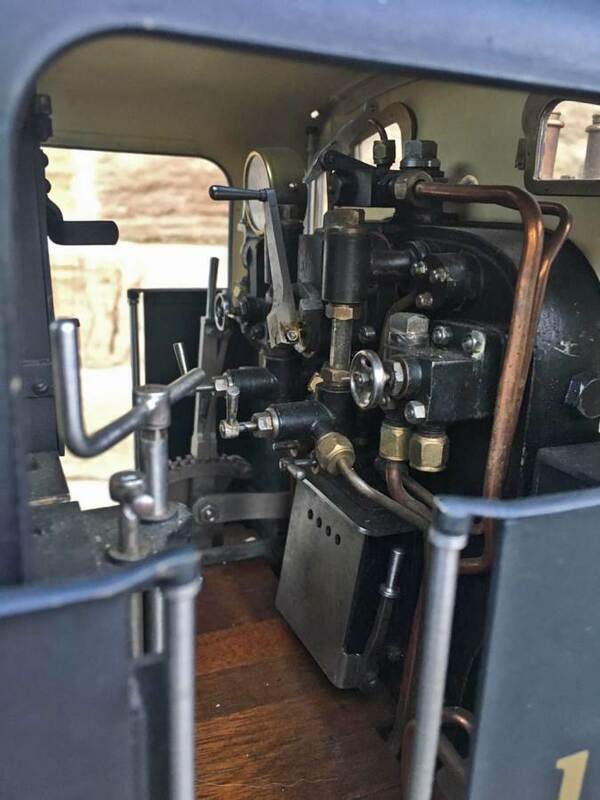 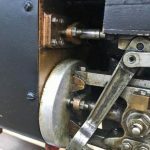 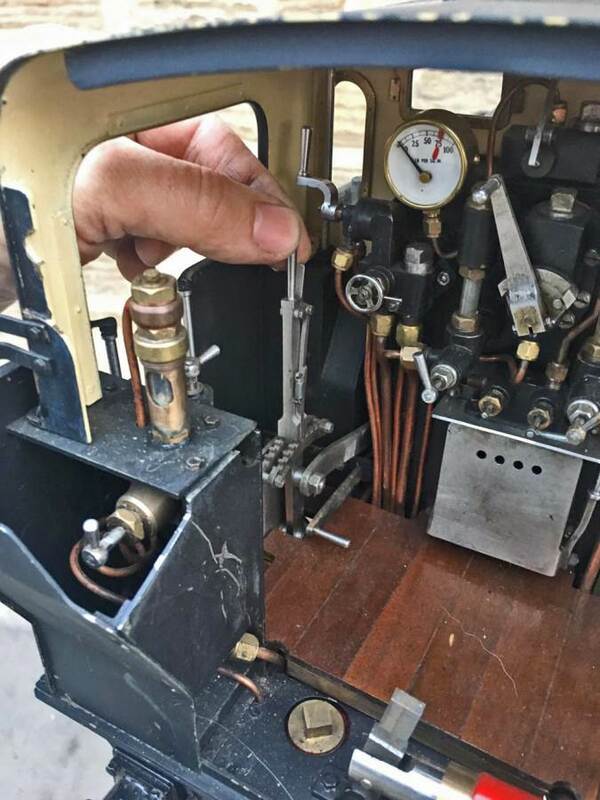 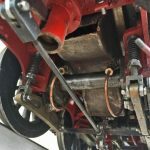 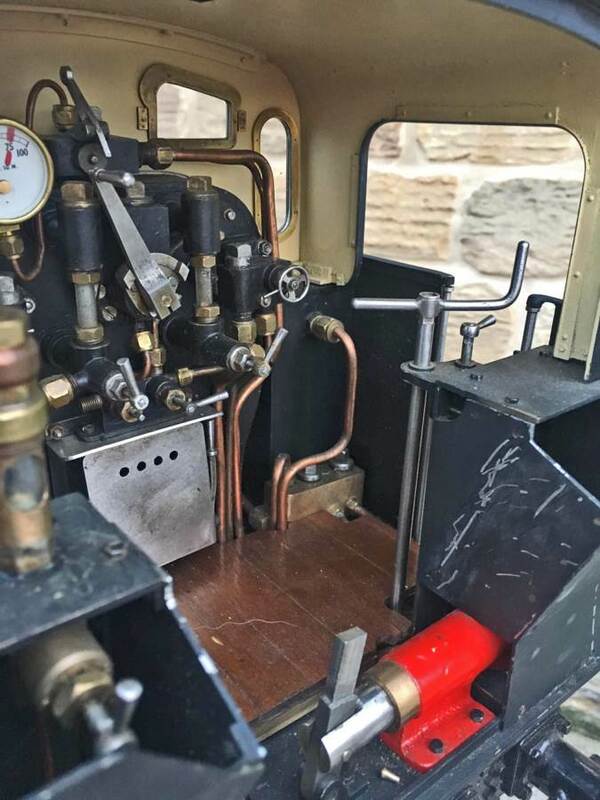 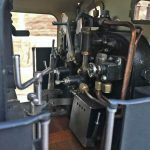 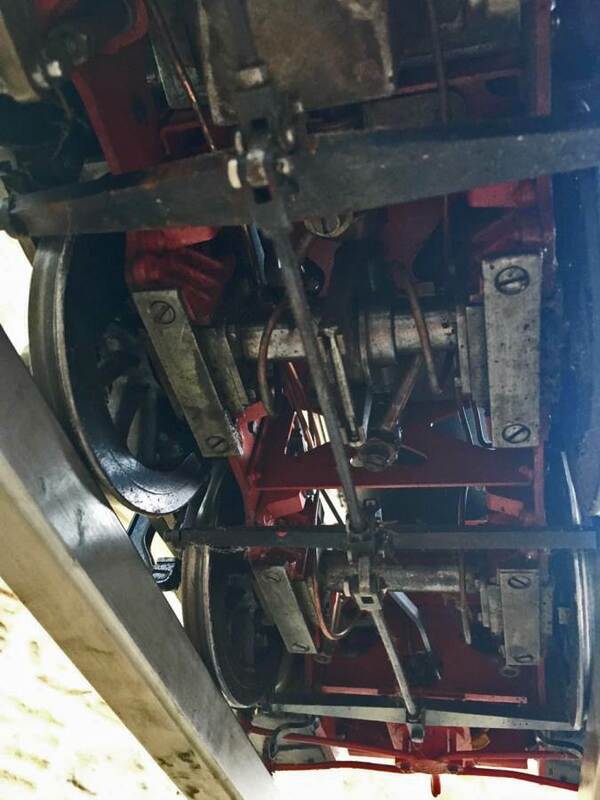 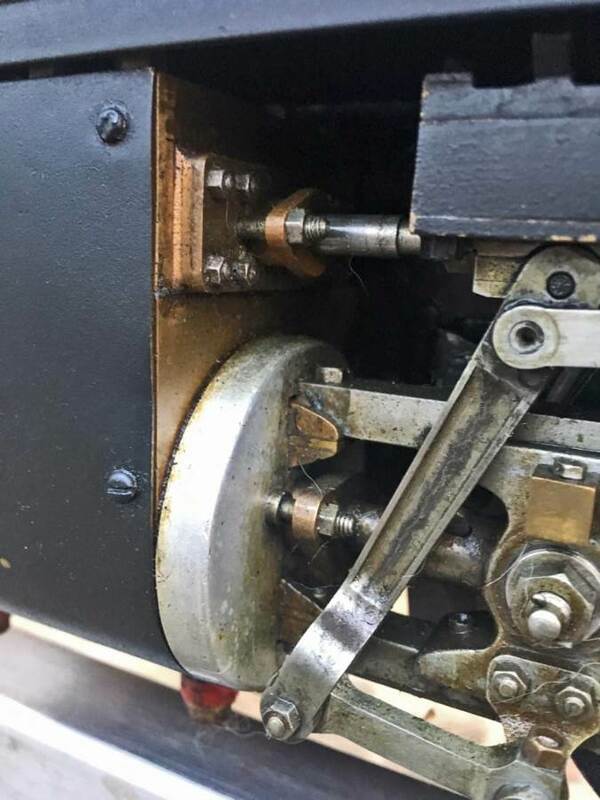 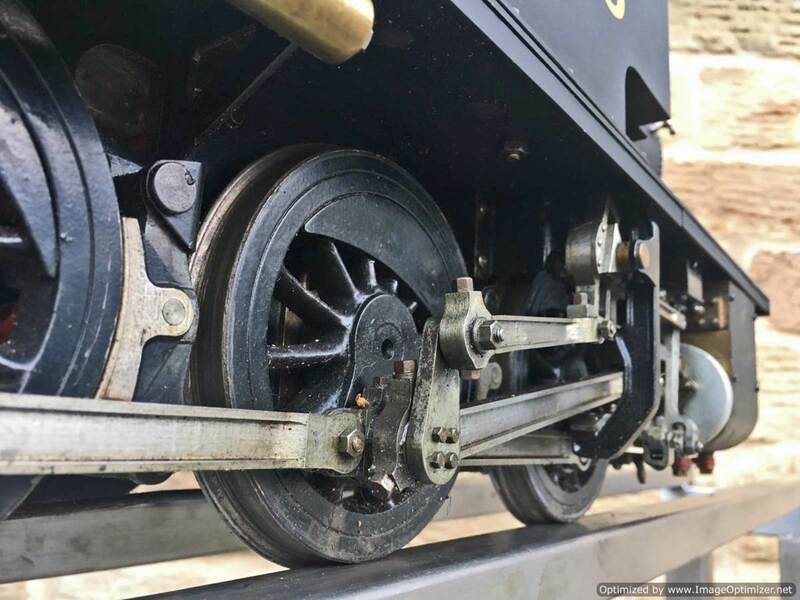 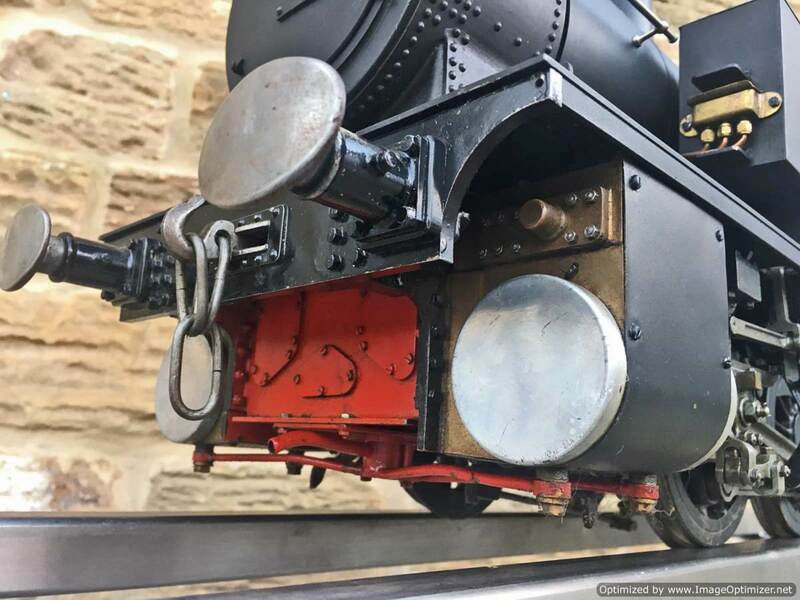 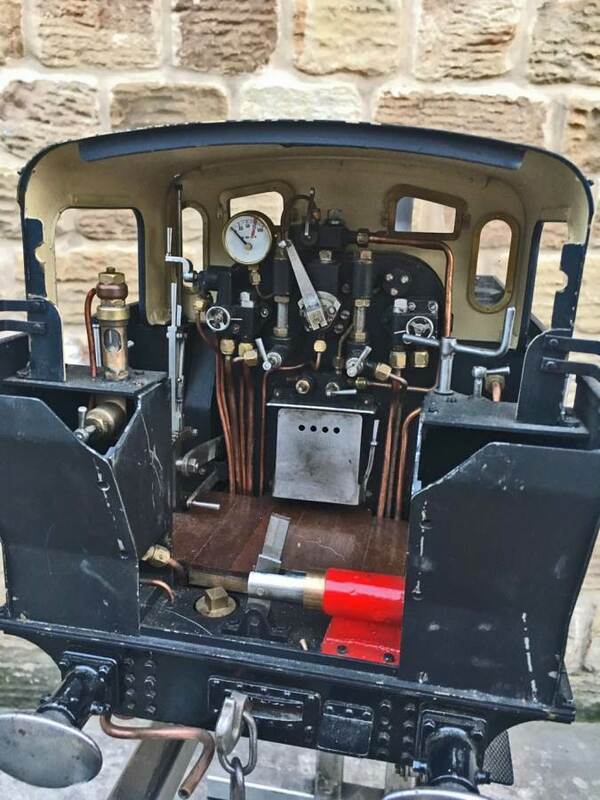 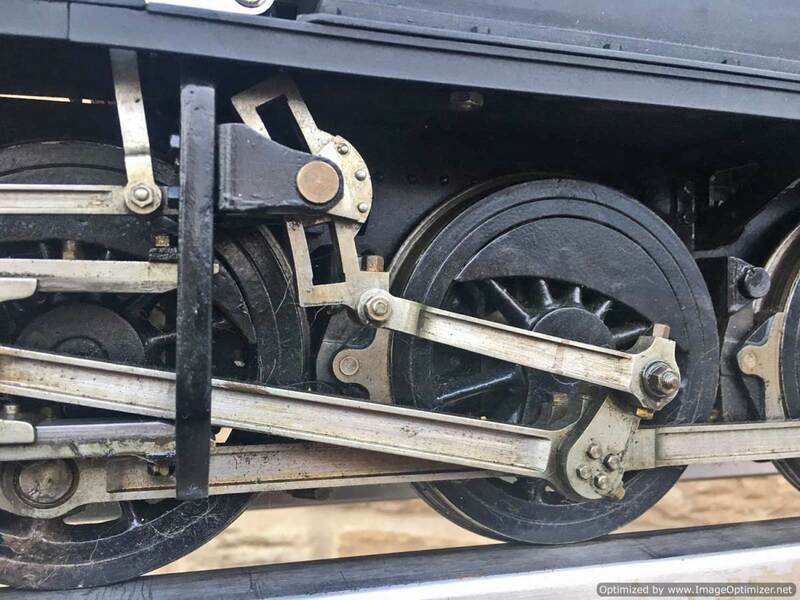 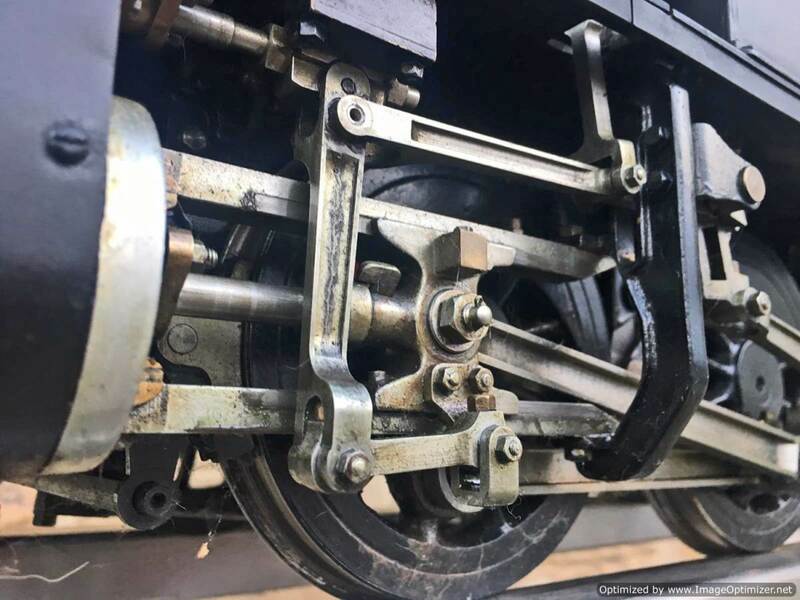 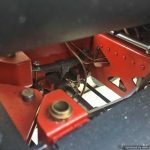 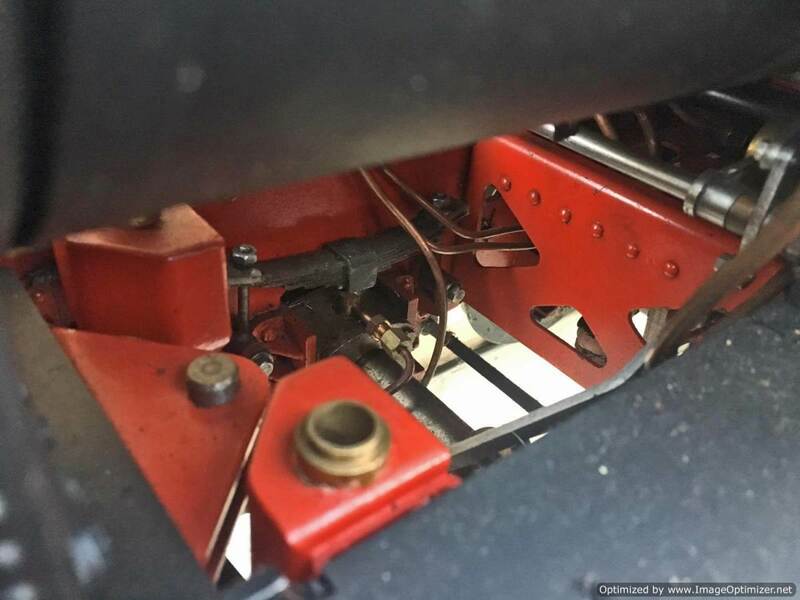 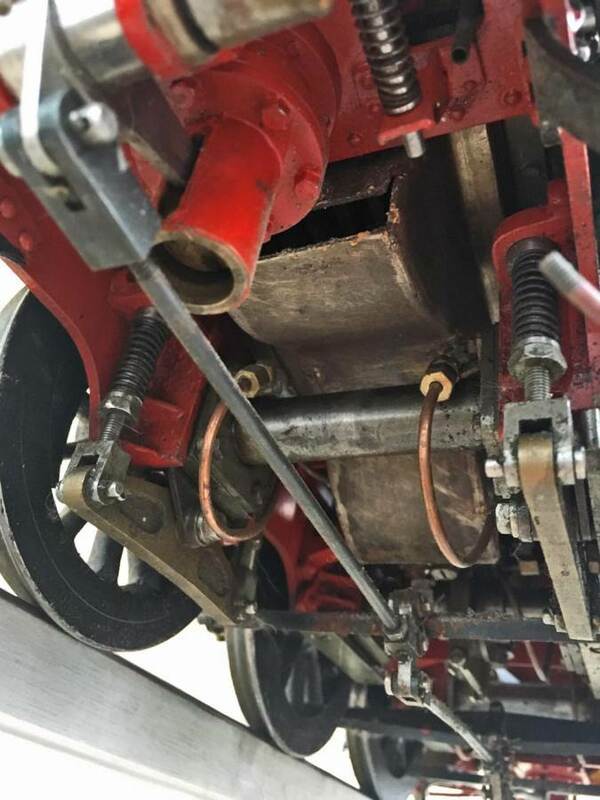 Mechanically everything is pretty tight, and although the loco has been run, it’s only been fired on a couple of occasions at most as you can still see the copper & silver soldering around the front tube plate tubes. 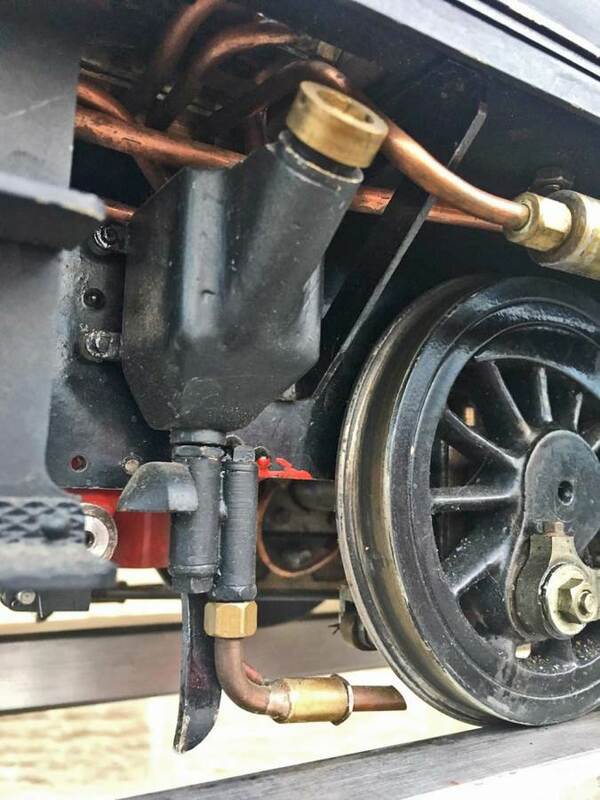 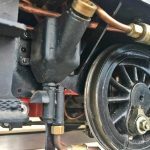 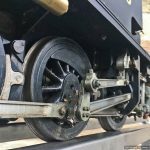 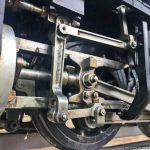 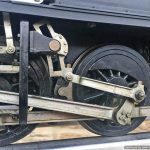 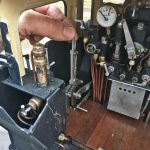 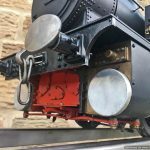 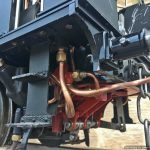 Fitted with an injector, as well as a mechanical axle pump and footplate mounted bypass valve, and a hand pump on the footplate hidden in the bunker. 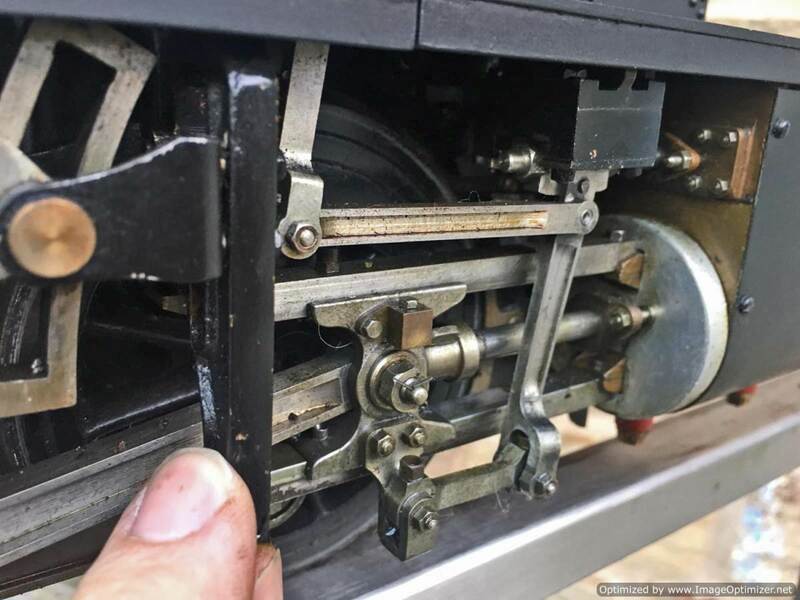 Lubrication is displacement with a sight feed again nestled in the bunker. 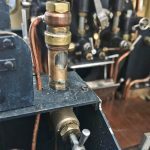 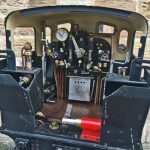 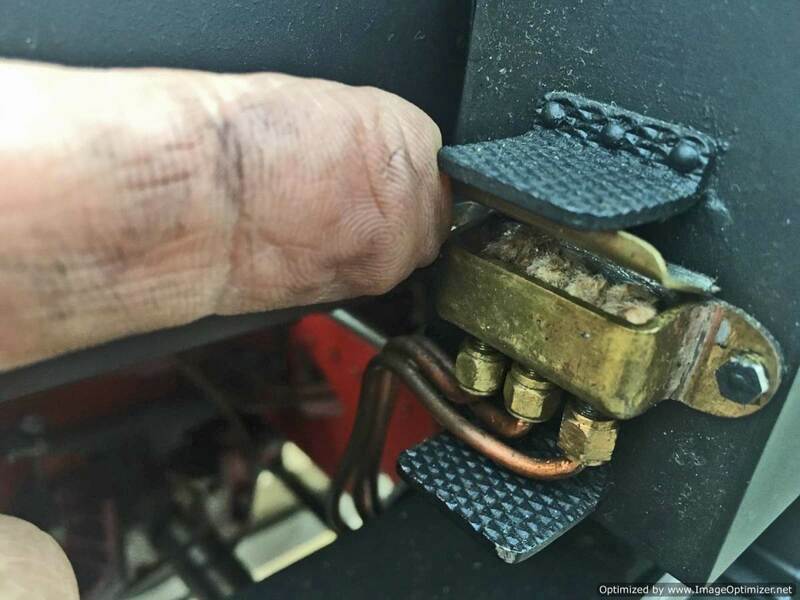 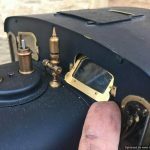 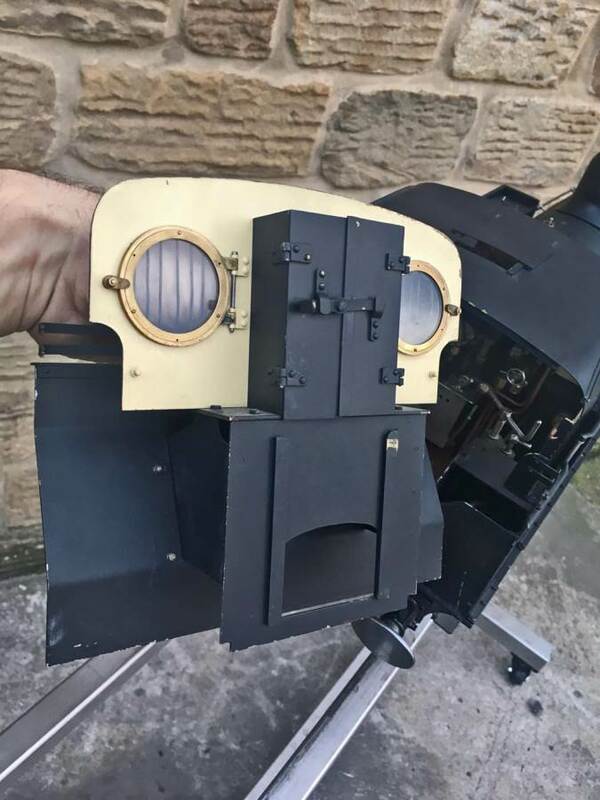 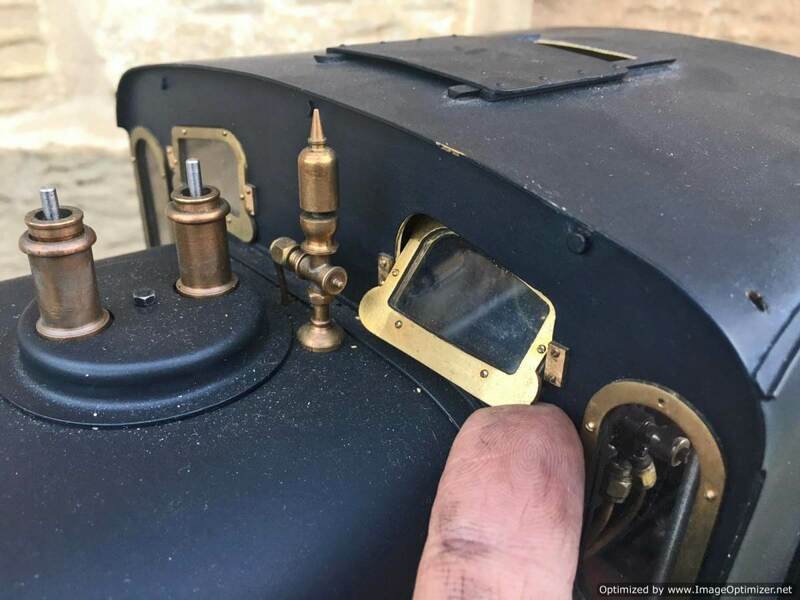 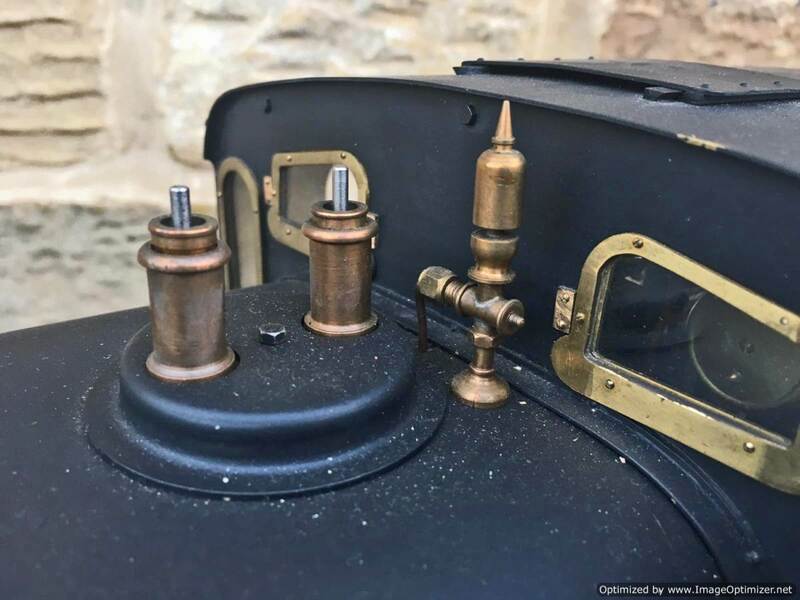 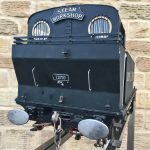 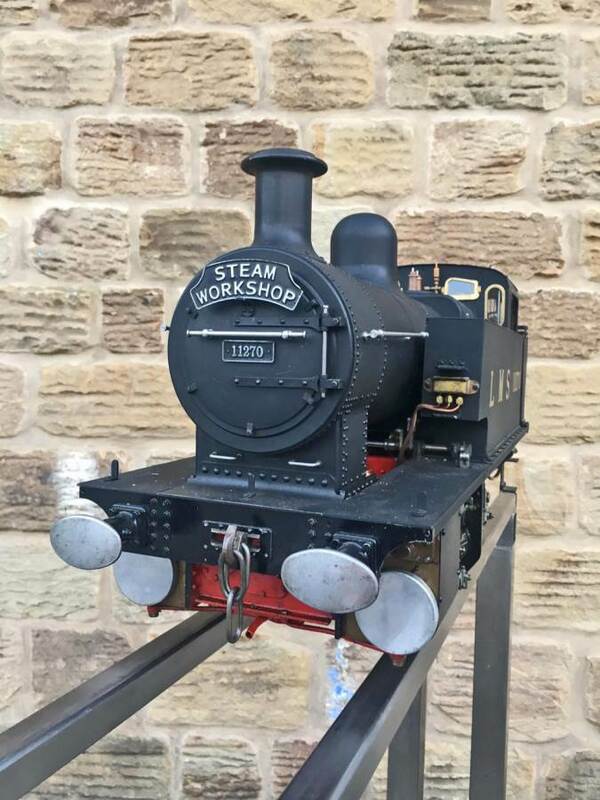 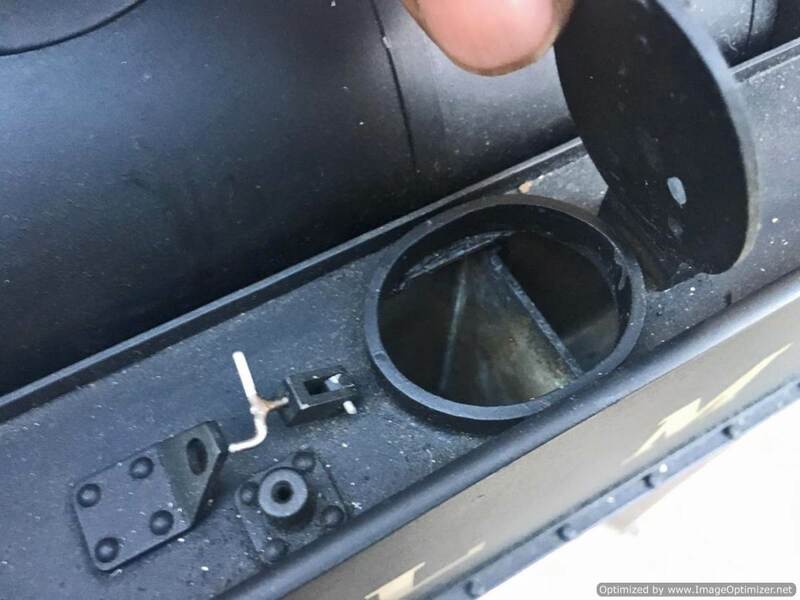 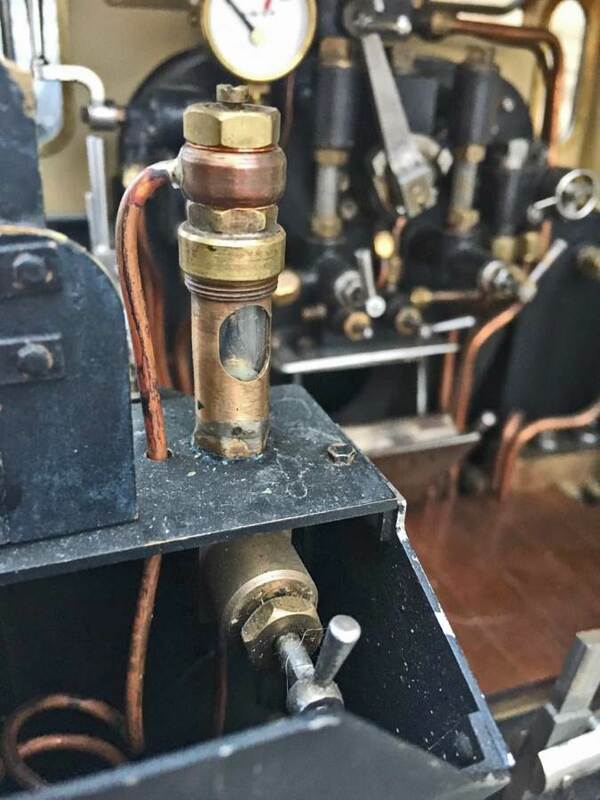 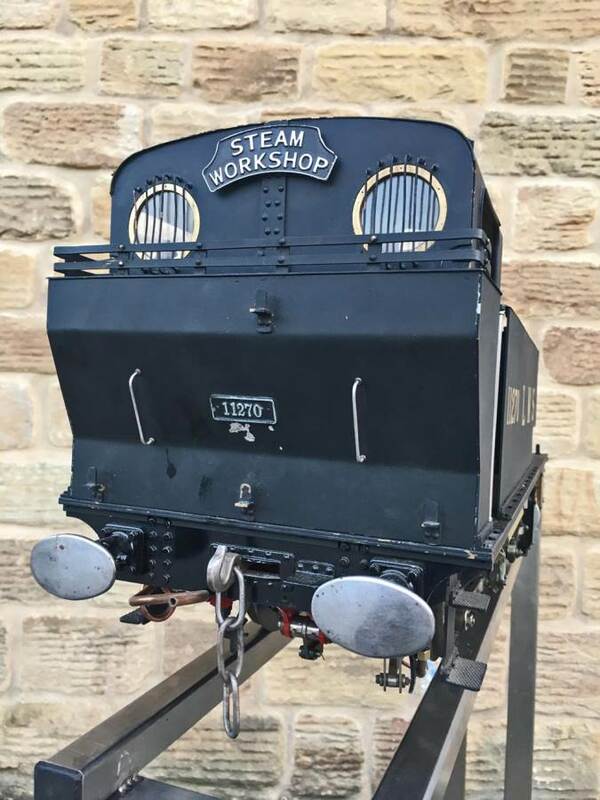 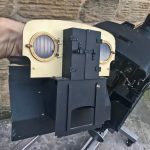 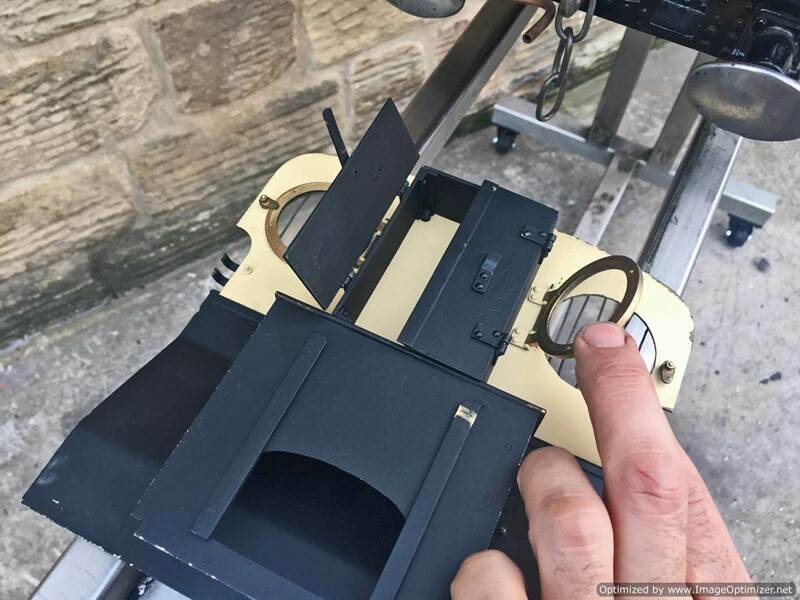 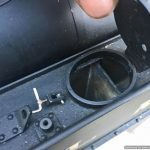 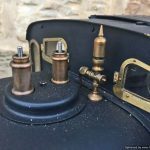 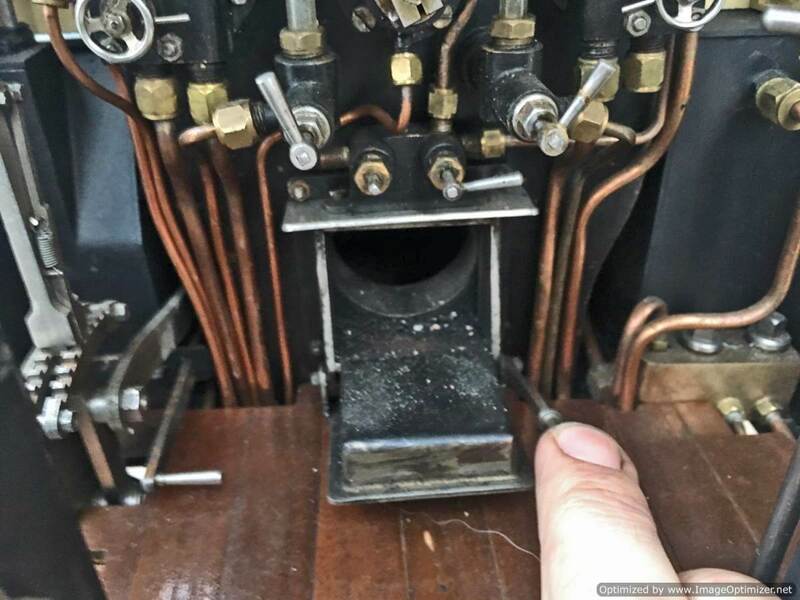 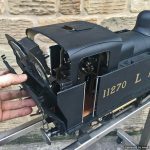 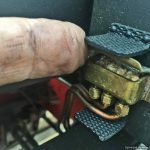 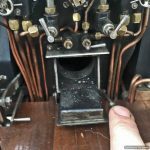 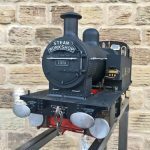 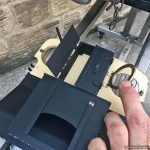 Boiler is copper and silver soldered and, as with all our models can be given a fresh hydraulic boiler test and fresh annual steam test so it’s ready to play. 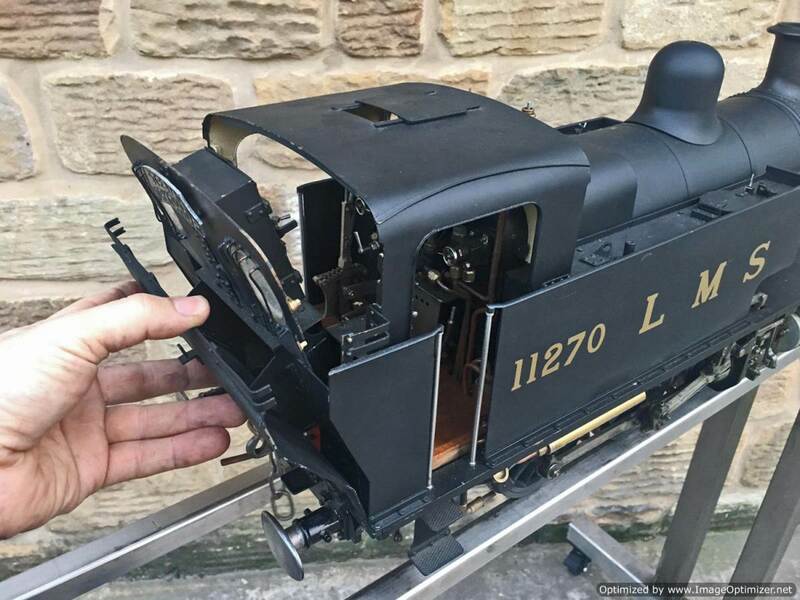 A particularly lovely model this one.